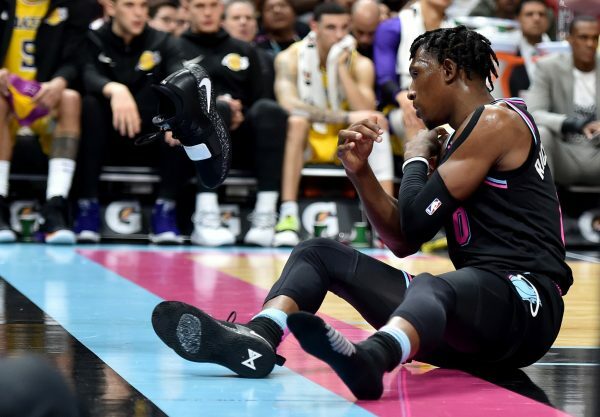 We’re now officially a quarter of the way into the season, and there’s one thing every Miami Heat fan can agree on: The Heat are in trouble. 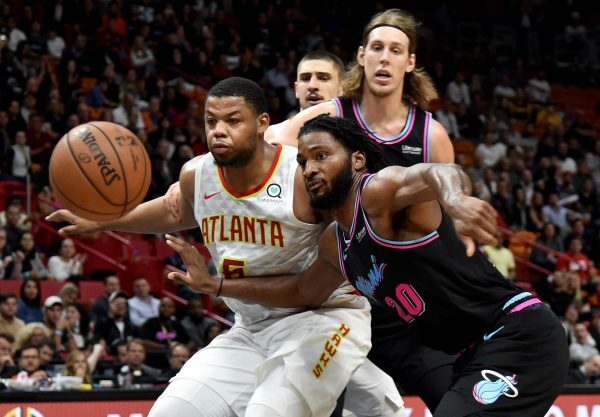 With essentially the same squad that finished the 2017-18 campaign on a 30-11 streak, Miami has struggled mightily, dropping 13 out of its first 21 games. 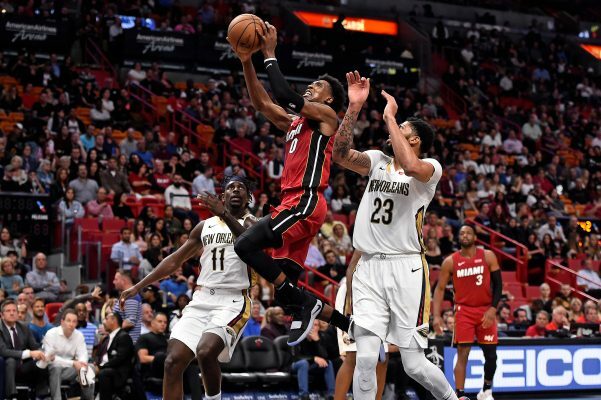 At the beginning of the season, the Westgate Las Vegas SuperBook projected the Heat to put up a respectable 43.5 wins — in other words, to repeat their 44-win 2017-18 performance. The Heat are currently on pace to win 34 games. Even worse, the Heat have been woeful at American Airlines Arena, where they have gone 4-8. A six-game home losing streak was snapped in a win over the New Orleans Pelicans Friday night. These losses are not flukes. With a 43.4 percent field-goal percentage, the Heat rank dead last in the NBA. This is the fourth-worst field-goal percentage in team history, and the worst since Dwyane Wade joined the team. What makes this number so infuriating is that the Heat are actually posting a respectable 35.9 percent in three-point shooting. But their two-point shooting is just 47.9 percent, and that’s what’s dragging their shooting numbers down. Miami’s shooting woes extend to the charity stripe. The team’s free-throw shooting percentage is the second-worst mark in the league at 70.2 percent. This is not unfamiliar territory for the organization, since the Heat finished last in free-throw shooting percentage in 2016-17. Miami is currently on pace for the sixth-worst free-throw shooting season in team history (still a far cry from the 2004-05 season’s abysmal mark of 67.2 percent). All this poor shooting gives the Heat the sixth-least efficient offense in the NBA, with 107.3 points per 100 possessions. When the Heat aren’t missing two-pointers, they’re turning over the ball. Miami is allowing 19.5 points per game off turnovers, the third-worst mark in the league. This follows naturally from their eighth-worst record in turnovers, with 15.2 turnovers per game. And while the Heat are still posting many respectable defensive metrics (they lead the league in blocks per game, and they’re grabbing 35.4 defensive rebounds per game), their defense is notable for its carelessness. Miami is hemorrhaging second-chance points, with 16.2 second-chance points allowed per game. This is the second-worst mark in the league. What’s astounding is that the Heat have surrendered so many second-chance points while still managing to grab a respectable number of boards. Somehow their opponents are scoring like mad on all the rebounds the Heat don’t grab. Carelessness on defense leads to the sloppy mistakes that end in fouls. The Heat foul a lot, with 23.6 personal fouls per game. This is allowing their opponents to attempt the fourth-highest number of free throws per game. The team desperately needs Goran Dragic and Dion Waiters to return and provide a much-needed boost on offense. And then there’s the potential of trading for Carmelo Anthony or John Wall. Some fans have resigned themselves to praying for a good draft pick. Whatever happens next, one thing is for sure: Ball don’t lie. Until Miami starts putting the ball through the hoop more frequently and stops giving up easy baskets, there will be no joy in South Beach. ← Previous Story Is It Time for the Miami Heat to Hit the Panic Button? 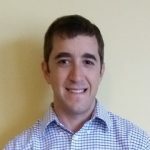 Dan is a freelance writer and lifelong fan of the NBA. One of his favorite moments in sports history was watching LeBron James rise above his doubters and destroy the Celtics in Game 6 of the 2012 Eastern Conference Finals.